Happy Easter foodies! I am sure you are enjoying the valuable 4-days break as I do. When many of you read the title today, you’d probably go what an aubergine is. To be honest, I can’t tell you because it is just the British version of Eggplant. The reason I choose to use Aubergine instead of Eggplant is really because of the misleading label in Woolworths and my local fruit and veggie shop. For the variety below, all shops I visited called it Eggplant Aubergine – so what is the difference between this one and our daily eggplant? I guess the skin color is one and also the earthy flavour in this one is slightly lighter than the normal eggplant while there are aromas. If you know what this variety is named, please let me know. 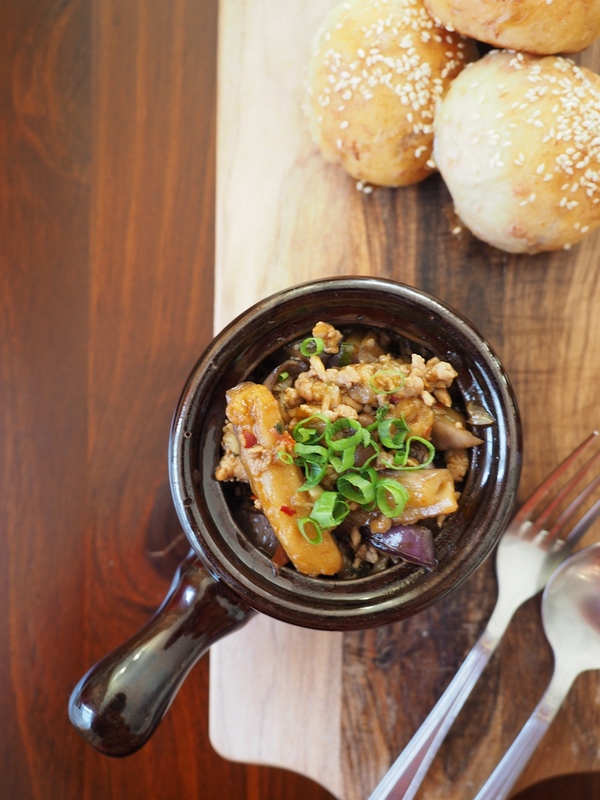 Now, it’s about another ingredient of this recipe, my favourite Murray Valley Pork. 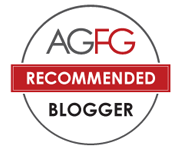 I know perhaps I have not put up recipes for ages but Murray Valley Pork is still on my top schedule to taste and trial, mainly because of the delicate and delish flavour and the quality of the meat. 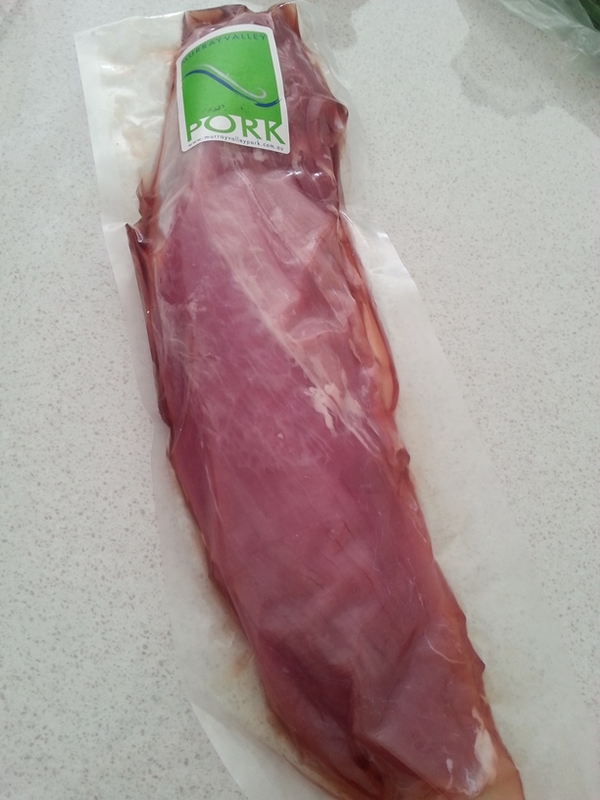 In this dish I used Murray Valley Pork Fillet, a product with minimal amount of fat and contains high animal fibres. During Easter, if you have any guest visiting, it would be great that we serve our cared ones with lovely dishes. This recipe today makes a good hot entree dish and will encourage a spicy eager person to take a main size. 🙂 So, let’s get onto it. 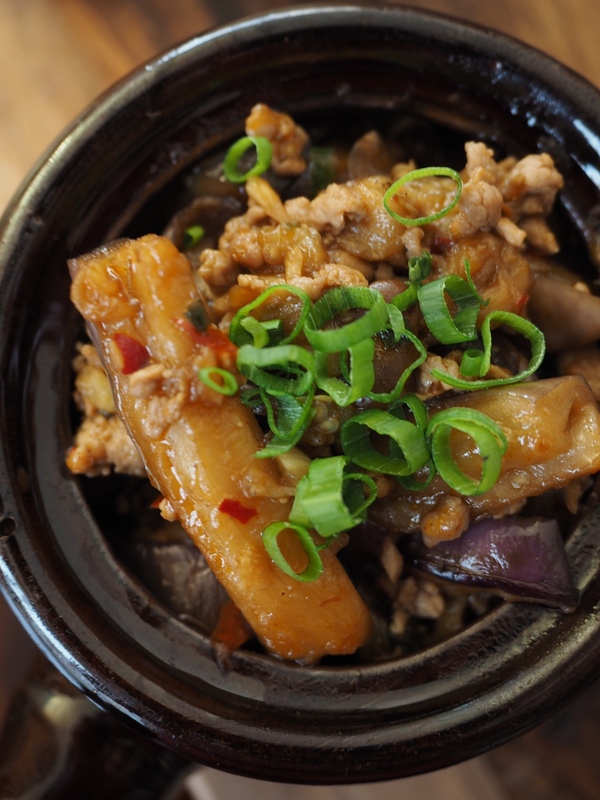 1 tbsp Szechuan Pixian Chilli Broad Bean Paste – This is available in most Chinese groceries. This is an essential ingredient. 1. 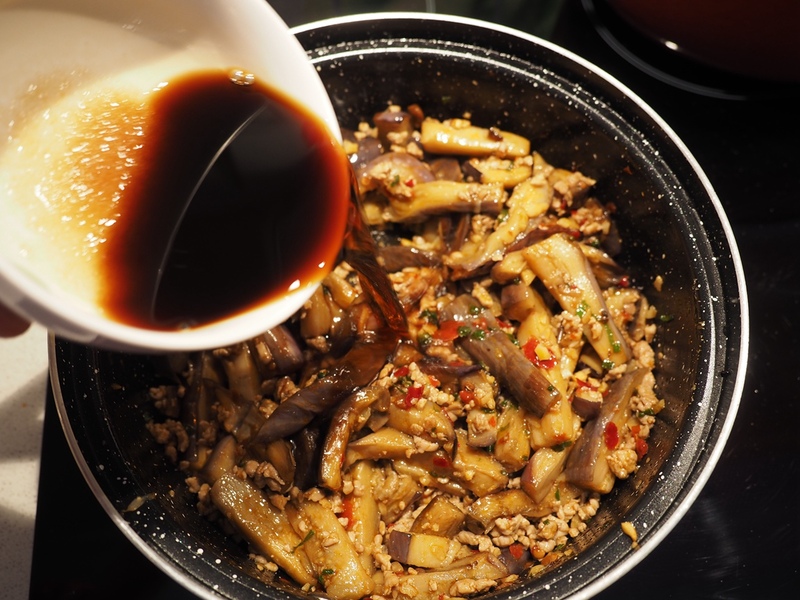 For the eggplant, cut into 3 -5 cm long pieces and fry in canola oil until soft as shown. Make sure you drain the oil as much as possible. 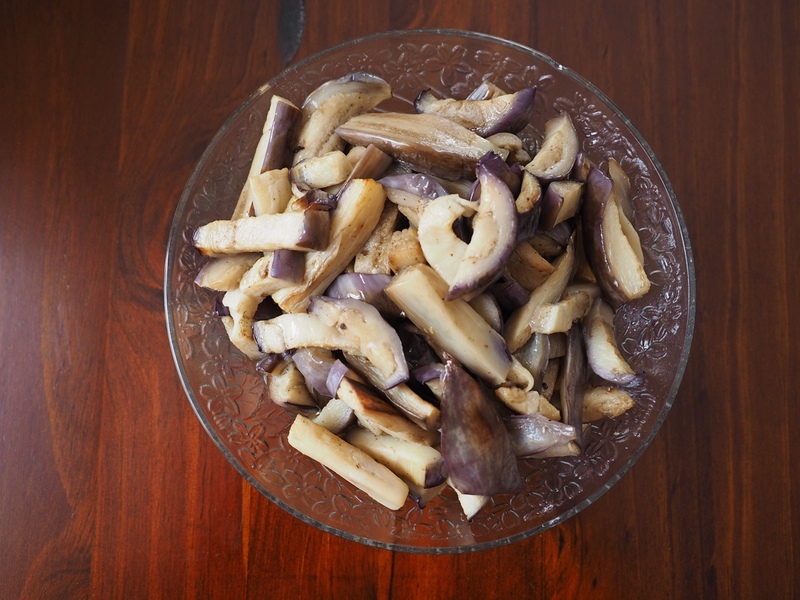 This step prevents the eggplant from being oxidised and hence from being blackened. 2. Mix the sauce. Make sure all salt and sugar dissolve by stirring. 3. Heat a small amount of oil in a large sauce pan. I used a stone coated pan so that no sticky marks are left on the pan. 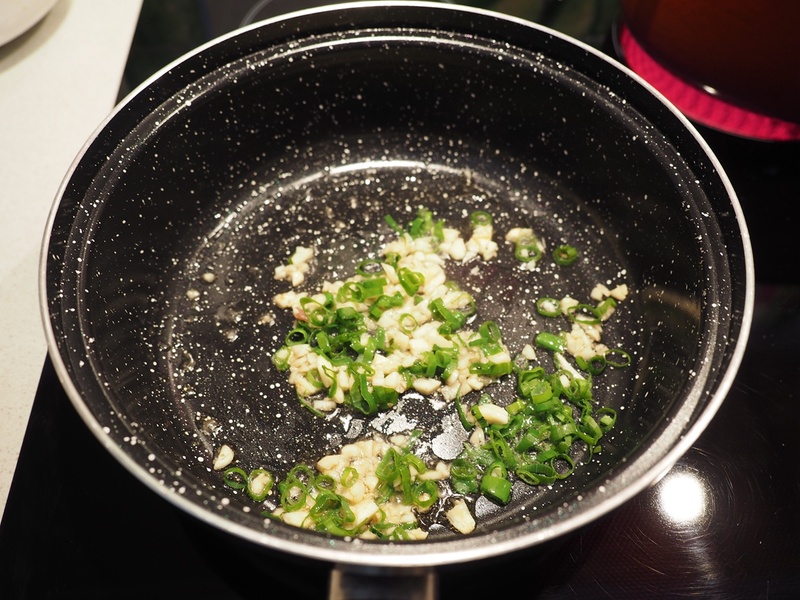 Place the diced garlic and spring onion in the oil and quickly stir. 4. 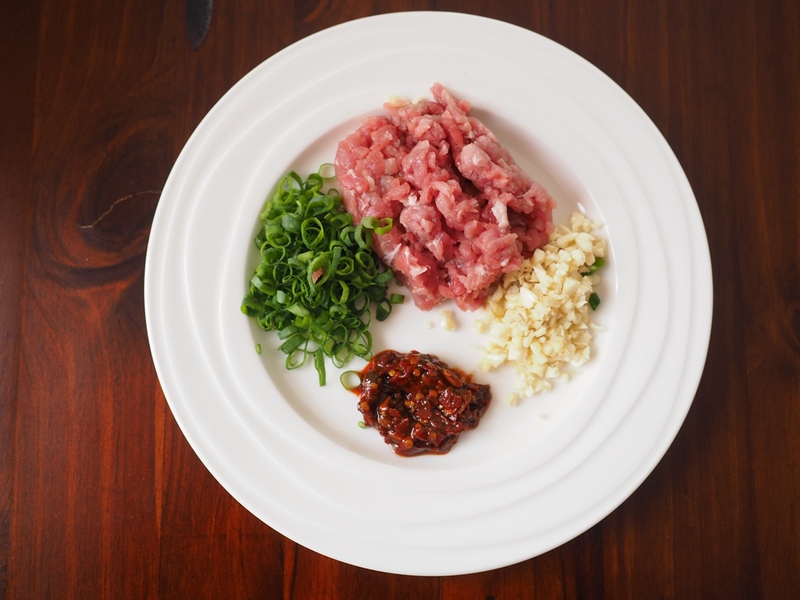 When the fragrance from spring onion and garlic came out, add the pork mince and stir until the mince looked cooked on the outside and are separated from each other. 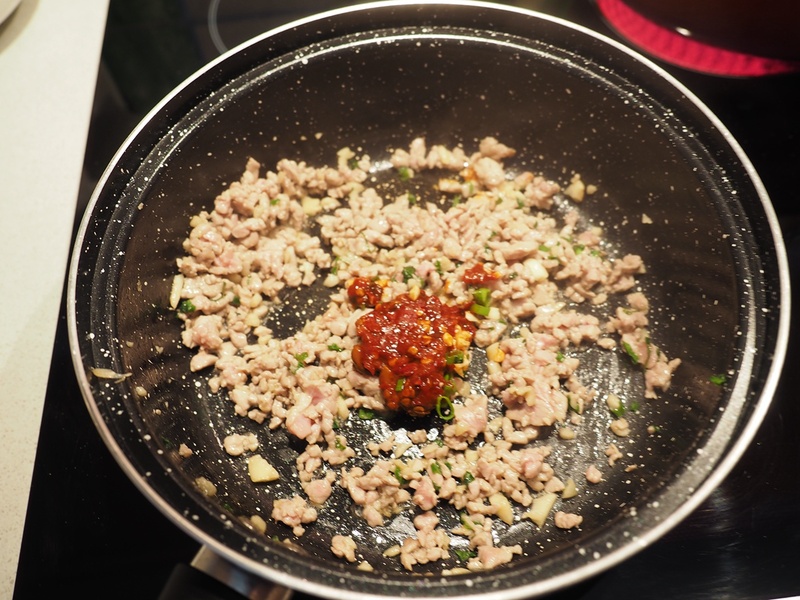 Add in the chilli bean paste and stir until the pork is cooked. 5. 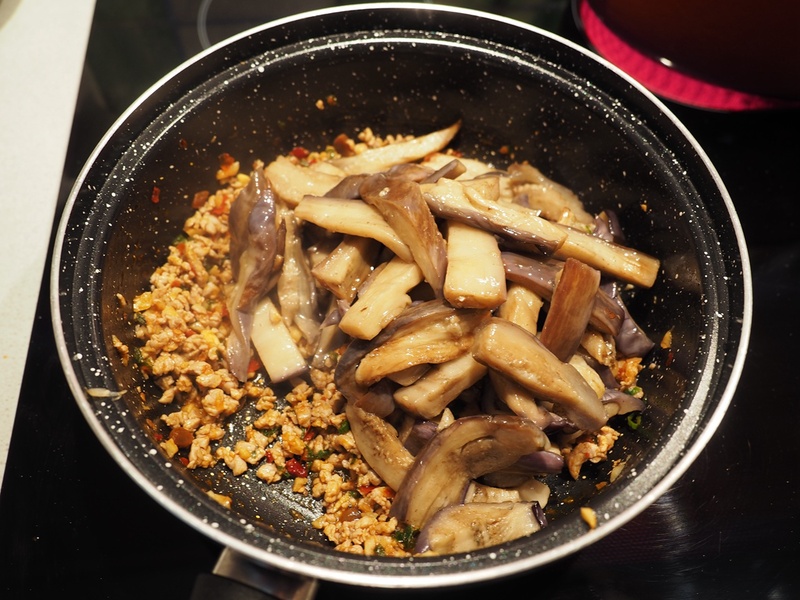 Add in the cooked eggplant pieces and stir until they are evenly mixed with the mince. 6. Add the liquid sauce prepared in step 2 into the sauce pan, stir and simmer for 5 minutes until the sauce became quite thick or evaporated. 7. 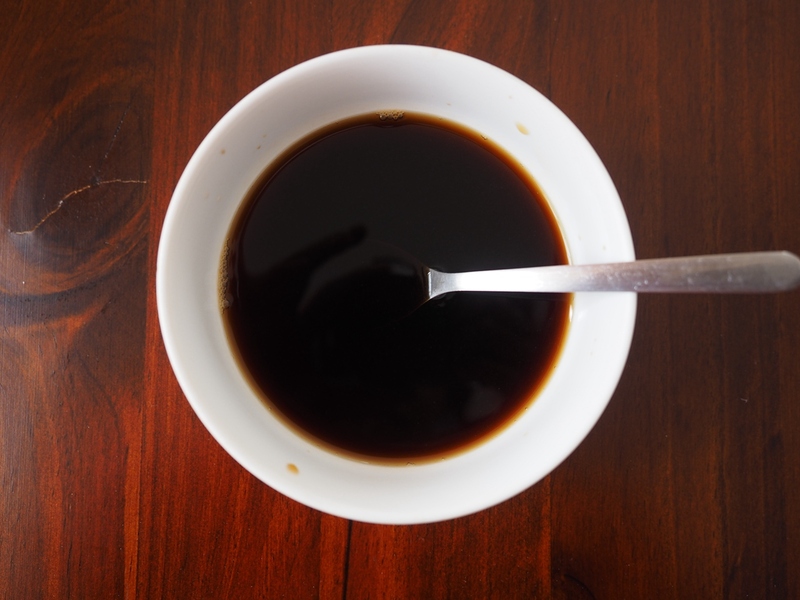 Once the sauce has evaporated, the dish can be served. I used a hot clay pot. Decorate with some finely chopped spring onion leaves and serve with burger buns or sliced baked bread. This will make a great hot entree dish. 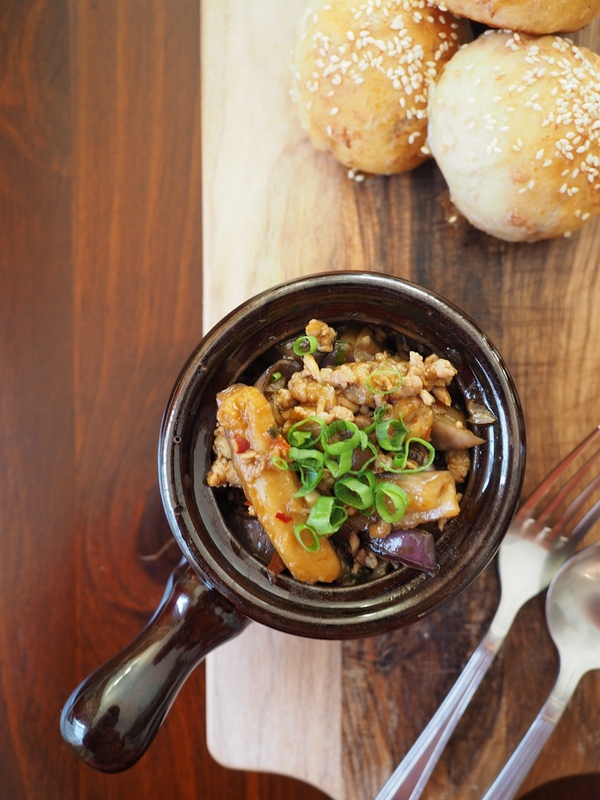 The dish is slightly spicy and hot and is brilliant for a cold day get-together. 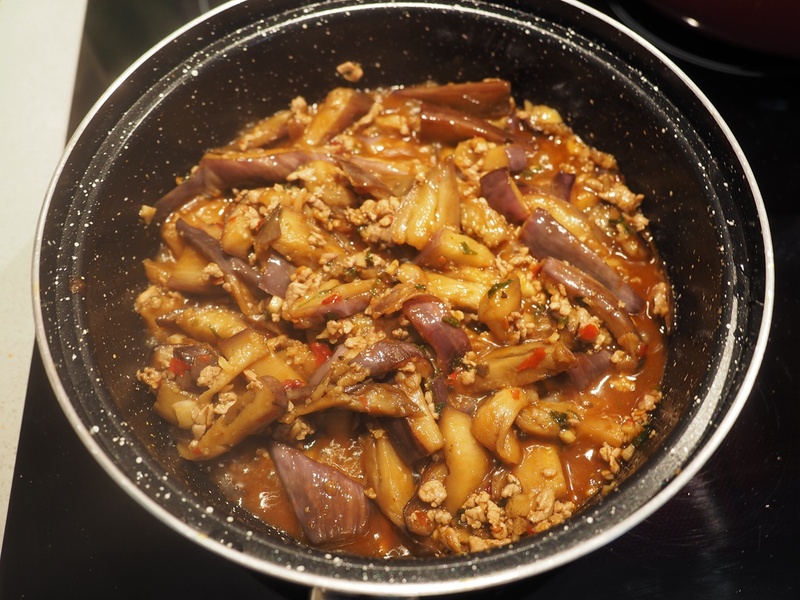 With eggplant is at its good time at the moment, this can be a good alternative to many other eggplant dishes that we are trying to cook at home. The great quality and delicious flavours of Murray Valley Pork fillet provides extra complexity in the flavour of this dish and your guests can easily taste the difference! 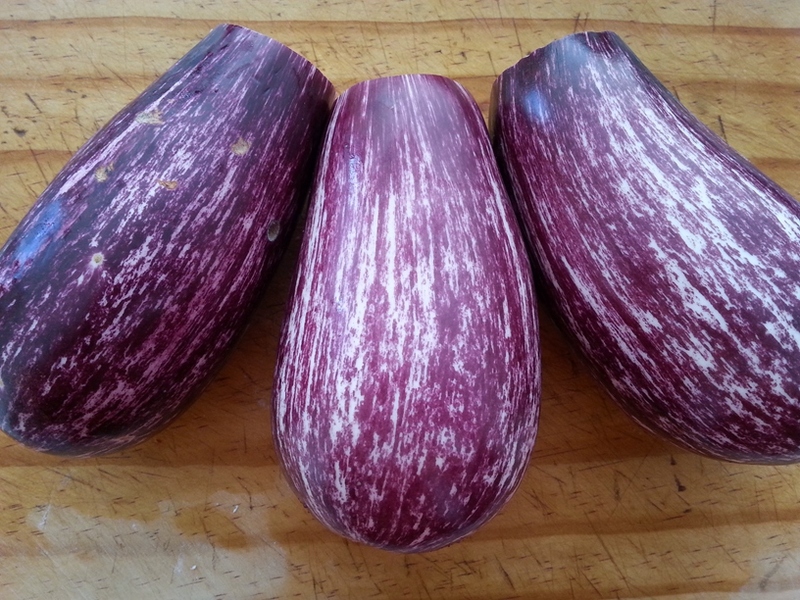 Love your recipe Xin and the eggplant variety is called Sicilian which has a large base and is aka the Graffiti or Zebra eggplant because of its white strips…Hope this helps! Looks delicious! I am a huge aubergine/eggplant fan. No matter which name, I adore it and am always looking for new ways to enjoy it. Thanks and cheers! i think i’m using beef filet instead…. Innovative idea! I will try beef fillet next time as well.